There are not enough waffles on menus lately. It's time to put a stop to that. 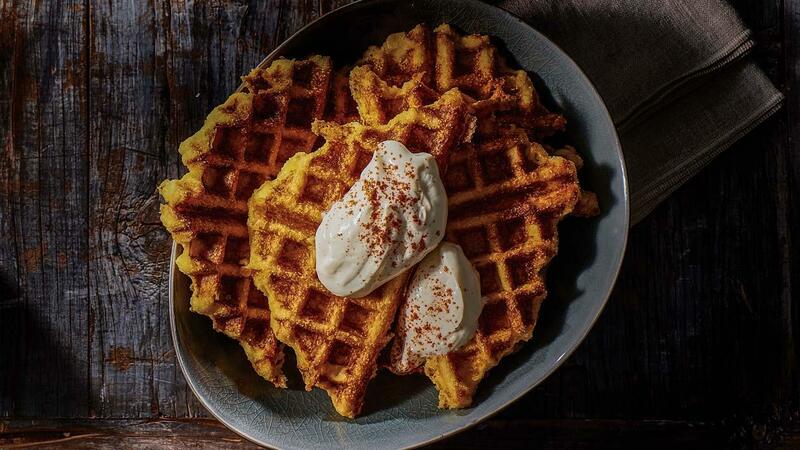 This is just one idea to get the waffle craze kicked off at your venue. Add the KNORR GF Potato Mash Mix and whisk until a smooth mash consistency. Allow to cool then add the corn kernels, cheese and eggs and mix well. Cook mixture in batches in a waffle iron until golden.